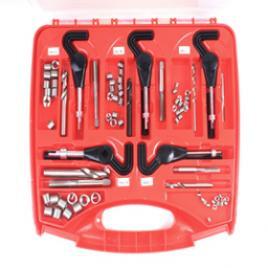 taps, spark plug, range and exhaust analyser kits, Studsaver and ReGrip. from Arconic Fastening Systems and Rings. We also sell the Fix-a-thred range of products. name and number) through the Contact us section and we'll look into their availability. All postage prices include postage AND packaging. Orders are sent out by Royal Mail first or second class with the option of recorded delivery. All have standard compensation of up to £50 as well as an additonal option of £250. You will be offered whichever service is applicable to your country. For more information click here. RESPECTIVE COUNTRY'S CUSTOMS AND EXCISE DEPARTMENT. For all technical questions regarding the application of Recoil products please email: info (at) recoilshop (dot) net. All prices exclude VAT (Value Added Tax) at 20% for UK and Europe, except where a European company can provide a valid VAT number. High-strength, vibration resistant solid inserts with a thread-locking feature. Precision moulded all-nylon rivets. Fasten plastic to plastic, plastic to metal and plastic to fibre-glass. The new Recoil Pro XL Series automotove range kit - five kits rolled into one! Stella Seven is proud to be an authorised dealer for the Recoil brand of products, one of the most popular kits for automotive thread repair within the UK. We currently stock items ranging from spark plug kits to bulk inserts and can deliver these to any location in the country. As a specialised online distributor of these handy kits, we have joined forces with the manufacturer, Arconic Fastening Systems and Rings, in coping with the growing demand for reliable automotive repair around the nation. Thanks to the durability and effectiveness of this range of products, you can get your car, van or truck back into perfect working order in no time at all. 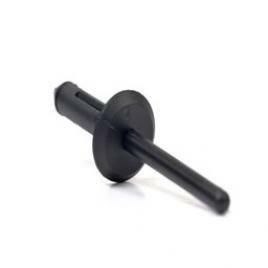 To view our range of stock, simply click on the Shop Online link above, where you will find a wide selection of Recoil thread repair kits, replacement inserts, pilot nose taps and more. If you are searching for an item which is not listed within our collection, you can get in contact with us through the appropriate section on our site. We will do our best to fulfil all your wishes as soon as we can. Remember to include the part name and number though to assist us in locating your desired item. As for delivery, all orders are sent via Royal Mail and will arrive at your door within two days. For out of stock items, this time will be extended to a maximum of one week as we attempt to source out and obtain that particular product. These itemsare important for one simple reason. The standard automobile contains thousands of threads which, through use, rust and accidents, will need to be fixed in the near or distant future. Each Recoil kit contains high quality wire thread inserts to quickly and efficiently return your vehicle to its original workingorder. They act as one of the most reliable solutions to repair and then strengthen worn threads within any kind of vehicle, ensuring that all internal components last for much longer. All Recoil products are easy to install and simple to use, meaning that maintenance time is thus kept to a minimum. In this way, you can keep your fleet of vans, cars or trucks on the road in good working order without having to spend lengthy amounts of time conducting repairs. These products are suitable to be used across a variety of makes, brands and models and will keep any collection of automobiles functioning spectacularly. 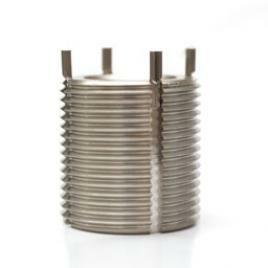 For more information on our thread repair kits or any other products, have a look through our website. Alternatively, you can get in touch with us via phone or the electronic form in the Contact Us section. Our staff will be more than happy to explain the many uses of our range of products and inform you about other aspects such as procedures for faulty items and returns. Here at Stella Seven, we will do everything that we can to provide you with the right tools to keep your vehicle working perfectly.